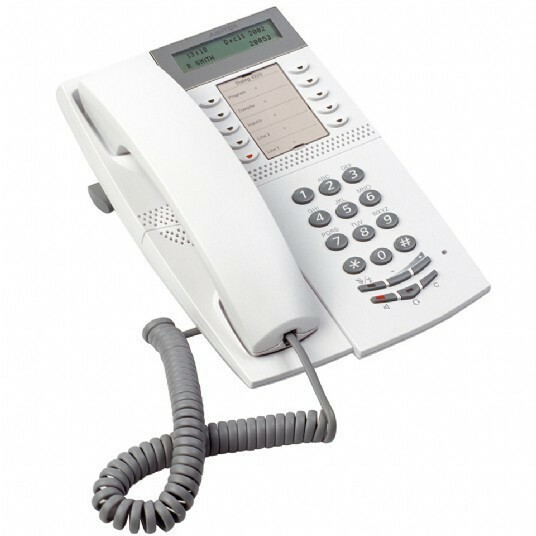 The Dialog IP Office is a feature-rich IP phone offering the functionality needed for users working in office environments. It is also well suited as a convenience phone in public/service areas.The built-in loudspeaker enables users to do voice monitoring e.g. listen to tele services (voice response systems, news, etc.). With the adjustable supporters and adjustable contrast, users may adjust the phone and the two-row display for various lighting conditions.